• 58-1702. U.S. Army. Delivered 03-Mar-1959. Designated U-1A. Initially assigned to 17th Aviation Company, Fort Ord, CA. Jan-1962 Assigned to 18th Aviation Company prior to deployment to Vietnam. Feb-1966 Transferred to 54th Aviation Company. Mar-1966. Returned to the US and to the Army Aeronautical Depot Maintenance Centre ARADMAC Depot, Corpus Christi, TX, for overhaul. Jun-1966. Returned to Vietnam and the 18th Aviation Company. Accident: Dragon Mountain, four miles southwest of Pleiku 17-Aug-1967. Details of the search for the downed aircraft are shown below. 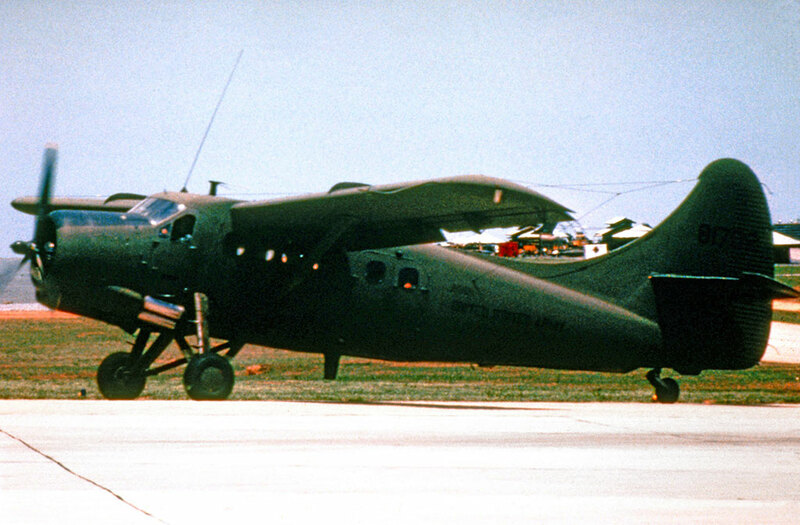 Otter 318 was delivered to the United States Army on 3rd March 1959 with serial 58-1702 (tail number 81702). It was assigned to the 17th Aviation Company, Fort Ord, California. It was delivered from Downsview to the Sharpe Army Depot, Stockton, California before continuing on to Fort Ord. In January 1962 it was assigned to the 18th Aviation Company for deployment to Vietnam, and served with the Company until January 1966. The following month it was transferred to the 54th Aviation Company, and in March 1966 was returned to the United States for depot level overhaul at the ARADMAC Depot, Corpus Christi, Texas. On completion of this work in June 1966, it returned to Vietnam, back to the 18th Aviation Company. It was still flying for the 18th Aviation Company when it was lost in a crash on 17th August 1967. 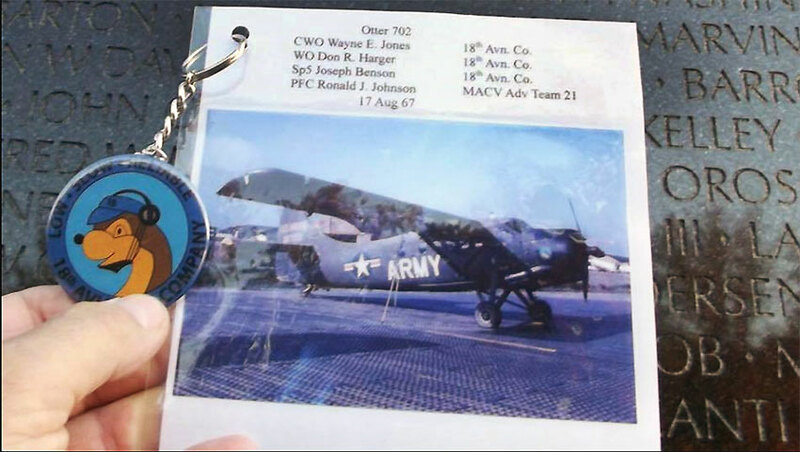 On that day, Otter 81712 (329) of the 18th Aviation Company departed Pleiku, flying the north courier mission, as was the standard procedure each Thursday, to Tuy Hoa and Nha Trang. Due to operational requirements, the crew changed aircraft 81712 for 81702 at Nha Trang and took off at 14:30 hours in 81702 to their next destination at Cheo Reo to pick up a messenger courier. After take off from Cheo Reo, the flight made contact with Pleiku Centre, its last radio transmission. 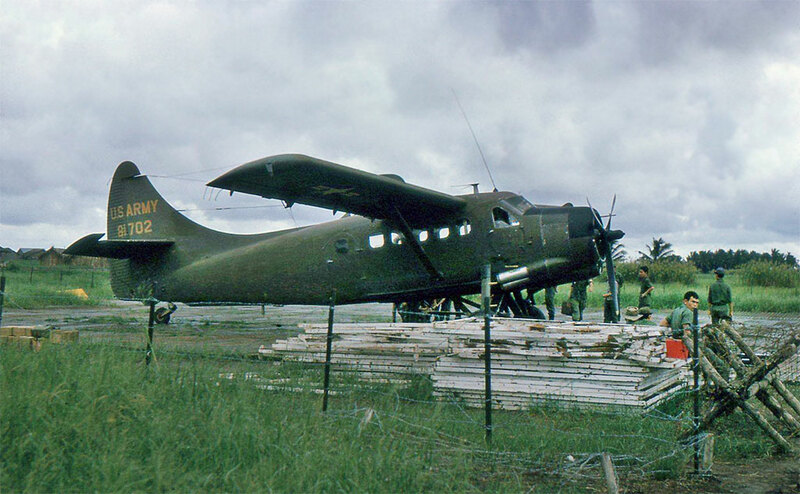 When the Otter became overdue at Pleiku, a communications search was initiated, which established that the aircraft had not landed at any established airfield, and a massive search operation began. The weather en route from Cheo Reo to Pleiku was reported as “numerous thunderstorms, heavy rain showers, limited visibility”. That evening, the weather deteriorated to such an extent that search missions were impossible. By 06:15 hours the next morning however a flight of 15 Cessna 0-1 Bird Dogs of the 219th RAC departed Holloway for the search area. The weather improved and by the end of the day, more than 53 aircraft had participated in the search. At 07:00 hours on 19th August, all of the 18th Aviation Company had assembled at Cheo Reo to continue the search. Because of the wide dispersion of the Company's aircraft, this was the only time during the year that all of the Company's flyable Otters were assembled at one location. Each Otter flew in excess of nine hours on the second day of the search. Due to the presence of known enemy forces in the area, rear doors were stripped from the aircraft and door gunners posted. Despite a dawn to dusk search, the crash site in the dense jungle and mountainous terrain eluded the searchers. The search continued fruitless for another 19 days and the disappearance of the Otter remained a mystery until 7th September 1967. A helicopter instructor pilot was giving a newly arrived aviator an in-country check out around Dragon Mountain, four miles southwest of Pleiku. He was pointing out to the new aviator the eight aircraft that had previously crashed into the mountain during low visibility conditions. He counted nine. The fate of 81702 sadly became apparent. The bodies of the four personnel were later recovered from the burned fuselage. Expanded details to follow shortly. Below - image taken at Vietnam Memorial.